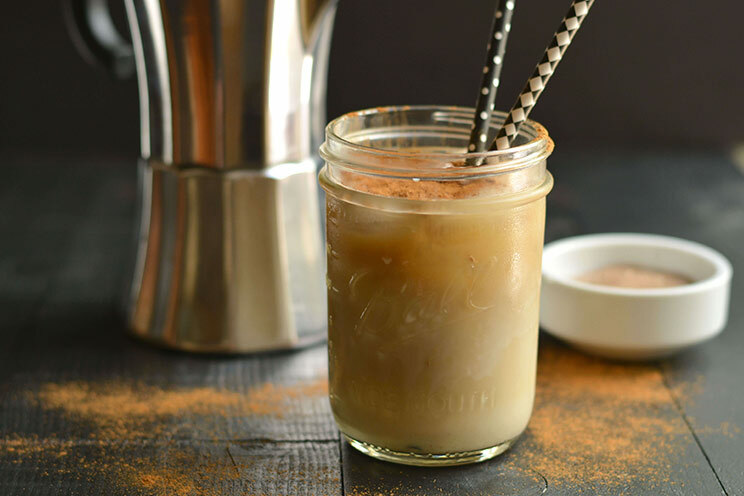 Get your coffee fix at home with this Iced Caramel Macchiato with Almond Milk! An Iced Cinnamon Caramel Macchiato is the perfect drink for a warm, sunny day. Luckily, you can get your caffeine fix in this healthier version of the coffee shop favorite. Making it at home is easy, and you save yourself money too! This Paleo latte uses three base ingredients to make the iced coffee – unsweetened almond milk, brewed coffee (or espresso) and ice. That’s all you need! It’s highly recommended you use a good, quality ground coffee that you love and would drink on its own. To get that real macchiato flavor, take it up a notch with the cinnamon caramel sauce. The sauce is free of processed ingredients and artificial flavors, so you can feel good about putting it in your body. No chemicals or additives. Just natural sweetness. The cinnamon caramel sauce yields two servings, but feel free to make more. The sauce can be stored in a glass jar in the refrigerator up to a week. That way you can add it to your coffee or espresso anytime you want, or even take it with you on the go! Just pour some of the sauce in a small container and head out the door. 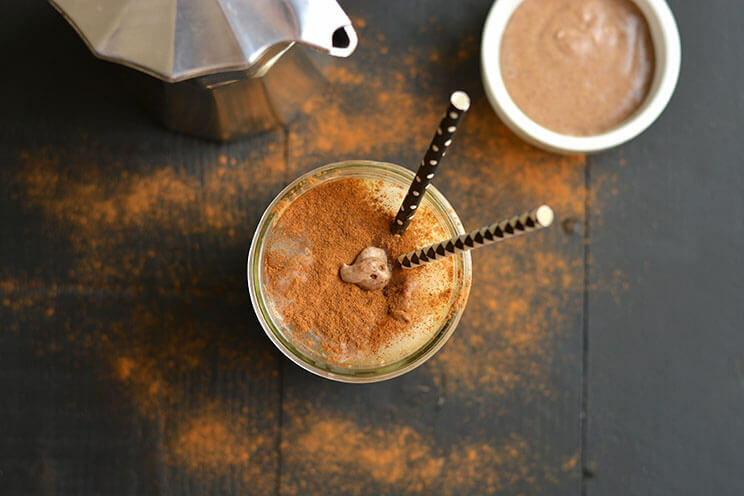 A clever and healthy way to get your macchiato fix! Enjoy your homemade Iced Caramel Macchiato in the morning with breakfast, or as a late afternoon pick me up! Prepare the coffee or espresso. Set aside. Mix together the ingredients for the cinnamon caramel sauce. Set aside. Place the ice cubes in a glass mug or jar then top with almond milk. Pour the coffee over the milk. It will have a fancy ombre effect! Using a spoon, drizzle half the sauce over the top. Sprinkle with cinnamon and enjoy!